Having thicker hair is something that many of us want. It feels healthy, allows more style options, and gives us a youthful look as well. 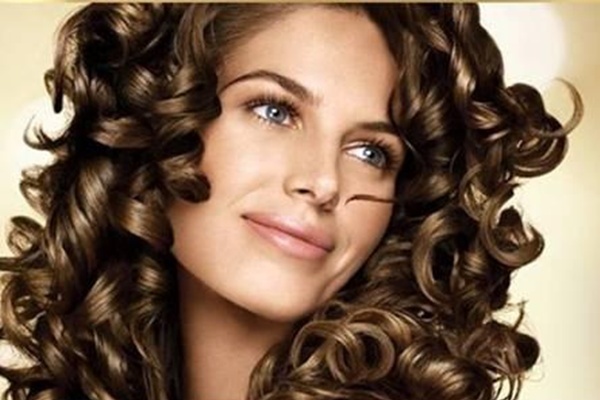 With thicker hair you have more volume because the diameter of each strand is thicker than that of fine hair. In this article I discuss several options for helping you get thicker hair. The fastest way to get thicker hair would be to have a hair transplant, but many of us don’t like the idea, or just plain can’t afford it. Another option is to try some of the hair products out there on those exciting infomercials you sometimes come across when flipping channels on your TV. Some might work, but for the most part it is just a coating on our hair strands and is a temporary fix. Then there are the natural methods. We generally prefer natural ingredients and natural remedies for healthy solutions to any deficiency we may have. Sometimes all our body needs is a boost from one ingredient or another to respond in healthy growth, whether that be thicker hair or other things we need. So let’s take a look at the home remedies first. One technique for thicker hair is to give your hair more protein using eggs. Beat up 2 eggs evenly, rub into your scalp. This will add protein to the roots of your hair. Leave it on for at least 15 minutes. Then rinse out and shampoo as you normally do. A second method is to use avocado. Make a mixture of mashed avocado and banana..just enough to form a paste in the palm of your hand. Massage the past into your scalp. Leave the mixture on your hair to allow the nutrients to sink into your scalp for about half an hour. Then wash your hair thoroughly with shampoo. Once your hair becomes dry it will look healthy and thicker. You can also make a hydrating hair mask at home by adding two tablespoons of olive oil to half a ripe mashed avocado. Apply it the same way, washing after letting it sit on your scalp for 30 minutes. Who knew that avocados could help us get thicker hair? Mashed orange peel is a third home remedy. Some people will add mashed apple or olive oil to the orange peel. For this you will need to blend it using a mixer or blender to break it down enough so it can be absorbed into the scalp. Like the other remedies, let it sit on your scalp for about a half an hour, then wash thoroughly. After doing this a few times you should have thicker hair. All the home remedies are doing one basic thing—adding nutrients to our scalp and hair. Many people experience thinning hair because they have nutrient deficiencies. So what are the nutrients that promote healthy hair growth? In a nutshell, a healthy diet with plenty of fruits and vegetables is what will promote healthy hair growth. Our hair cells are particular about the ones they really desire. Use the ABC method. These three vitamins are essential to healthy hair. Look for foods rich in these vitamins. Vitamin A: leafy greens, spinach, sweet potatoes, carrots. Vitamin B: eggs, dairy, nuts, brown rice. (Note: Vitamin B plays a large role in the health of your hair, and getting enough of it is essential to keeping thick hair and reducing how much you shed.) Vitamin C: Citrus fruits such as oranges, lemons, broccoli, cantaloupe. Prenatal vitamins contain a good mix for healthy thicker hair and as a bonus will improve your skin and nails as well. All of this information is a lot to take in, but it’s all about being informed and learning what will help us improve the health and thickness of our hair. Many of these methods can be time consuming. For those of us with busy lives, it might be better to find a one stop shop for getting the nutrients our hair needs. Liquid nutrition has been proven to be more effective than vitamin capsules for absorption into the body. Look for organic liquid nutrition that has large doses of vitamins A, B and C for an easy way to get healthy hair using the nutrient method. There are several options available in the organic section of your local grocery store, health food store and even online. If you need a convenient way to achieve that healthy head of hair you desire, use your due diligence and find the one that meets your needs. You will be glad you did once you start running your fingers through healthy thicker hair.